Many people in our community donated pottery, sculptures, paintings, prints, and other wall or functional art for our Art Mart. Some local artists contributed their works as well. 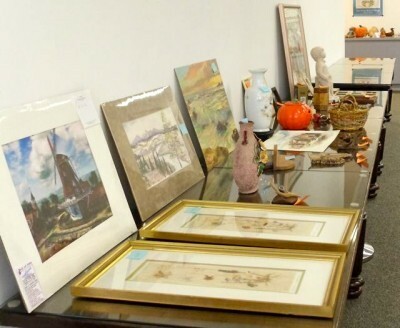 This fundraising event took place during the week of Maquoketa’s city-wide garage sales for others to purchase the new and used artwork at a very reasonable price.